New brand identity for a start-up business. Dr Nadya Temple qualified in medicine and Neurology in her native Kazakhstan before specializing in Acupuncture for over twenty years. 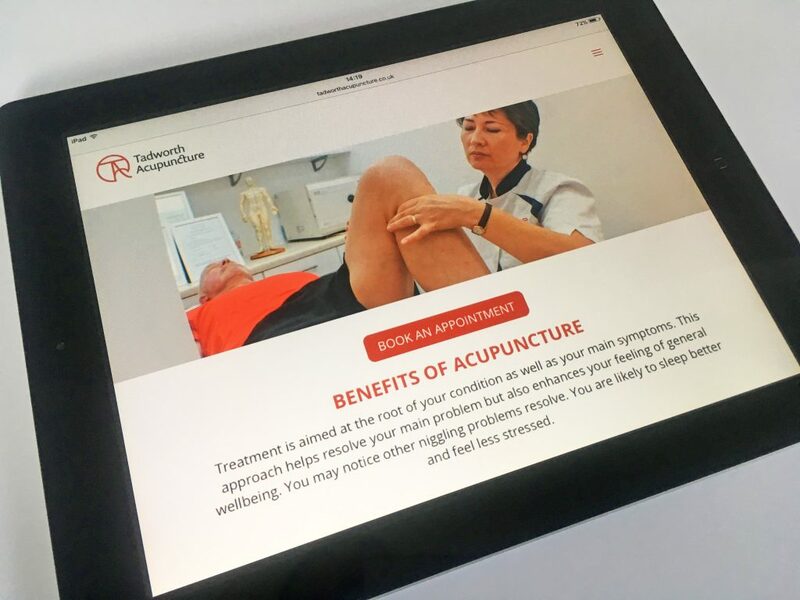 Having recently settled in the UK she continued to practice acupuncture from two clinics in Surrey. 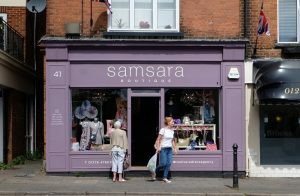 Her new business was developing steadily through word of mouth but Nadya wanted to create greater awareness and a professional image to attract more clients. Nadya approached me to create a brand for her business that would acknowledge the Chinese heritage of the ancient medical technique whilst appearing fresh and modern. 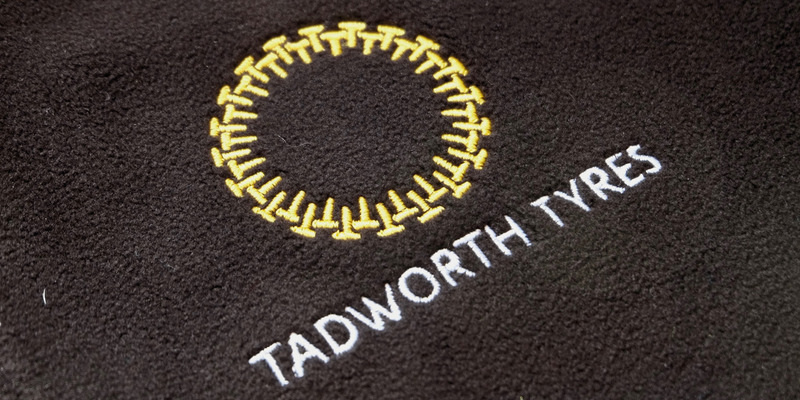 We decided to call the new brand ‘Tadworth Acupuncture’ to focus on the locality of the practice. I presented a range of logo concepts, exploring varying degrees of Chinese personality from overtly authentic symbolism to the more subtle influence. These were discussed with Nadya and we settled on a concept that was a western, modern symbol retaining a hint of its Chinese ‘dna’. The chosen concept progressed to the design development stage where we went though a number of iterations – each time fine-tuning the weight and balance of the symbol and supporting typography – until it is perfectly balanced. The first step to creating a new website should not be design, but thorough planning. 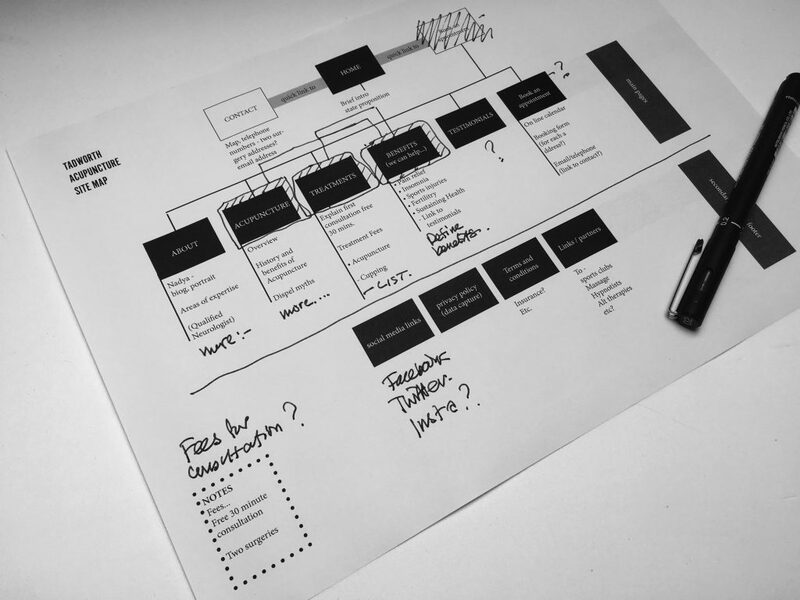 We spent time looking at competitors’ sites, discussed the amount of content, tone of voice and functionality before drawing up a site map to show number of pages and basic content. 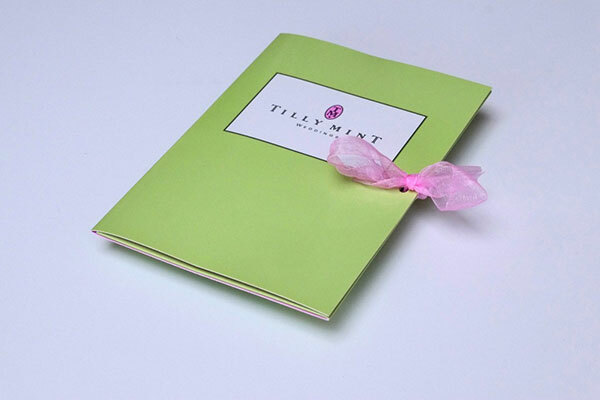 Next came the design, (bespoke, rather than relying on pre-existing template) draft copy and photography. Because we had planned the project well we knew exactly what content to write and what images of Nadya working in her clinics were needed. While images and copy were being prepared the website build was underway by one of my web developer partners, ensuring the site would be responsive for mobile devices as well as computers. 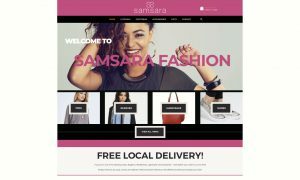 As soon as the build was complete we populated the site with final copy and images, carried out final testing and the site became live. 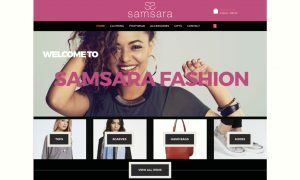 See the final website here. Nick provided us with the creation of a new brand design, which offered us benefits in several respects. It enabled us to provide a more customised and focussed image towards customers, it enabled us to take the detail and use for image improvement, such as placing the logo onto uniforms, and it provided the foundation for our website. 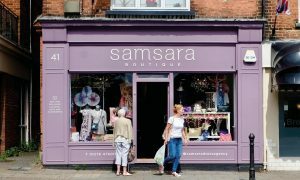 This has raised awareness of our business, and our customers have generally commented positively on the result. So, I thank you Nick for your expertise and support. Do you have a small or start-up business? If you have a small or start-up business, consider getting help from a brand expert to make your brand stand out and give you an advantage over your competitors. If you would like an informal chat would help, give me, Nick Ovenden, a call on 07876 293885 or 01737 819687 or email me. I’ve sat in many a brand strategy meeting where those around the table have been trying to get to the bottom of what their USP is. They go round and round in circles getting more and more frustrated. I can see all they want to do is get up and walk out the door. My advice is, don’t spend time looking for something that 99% of the time doesn’t exist. 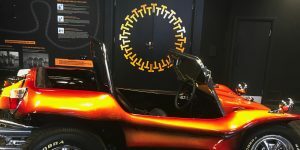 Your product or service is unlikely to be unique. Even so, in a crowded marketplace we all need to find a way to stand out from our competitors. We need to find a way to be different. You and I are both flying to New York. We both chose different airlines. I am flying British Airways, you are flying Virgin Atlantic. We are both flying on the same airplanes – a 787. The cost is roughly the same. 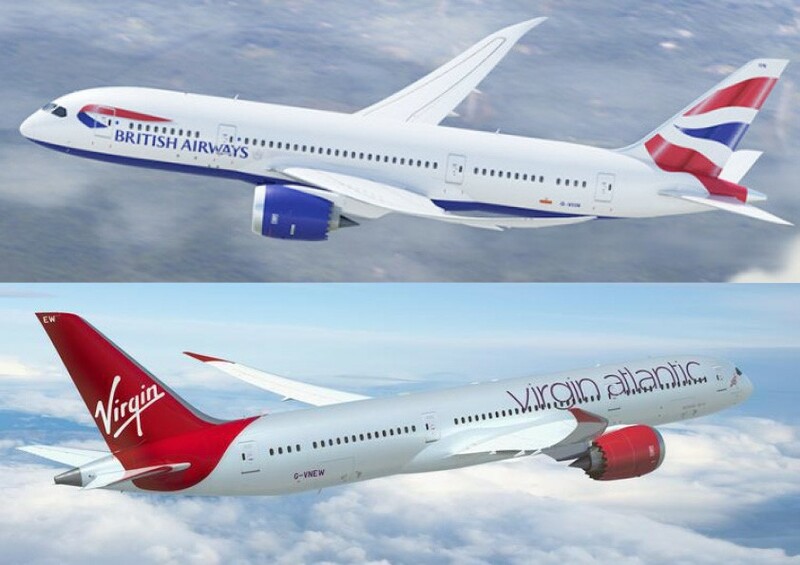 Both airplanes are using the same fuel. Flying from, and to, the same airports. The same air traffic control, same route, the staff had the same safety training and both ‘planes get to their destination safely and on time. The difference is in the different personalities of the two brands. As soon as you see the logo on the tail you know you are in for a different experience. 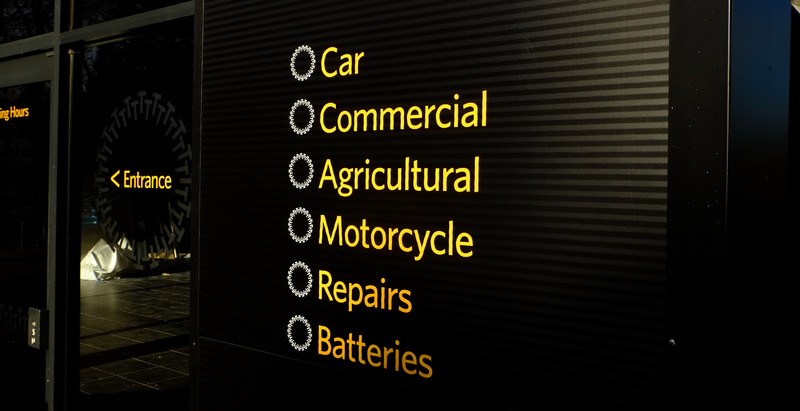 And it’s not just airlines that rely on their brand to create the difference. Many other businesses offer very similar products and services to their competitors. Two Estate Agents, for instance, may be operating in the same territory. Selling the same housing stock at roughly the same prices, charging the same commission, marketing through the same channels to attract the same buyers. Again, it’s down to each Estate Agent’s personality, values, behaviour and reputation. The brand is what makes each one different. And what’s the difference between high street banks, mobile phone companies and professional services like accountants and solicitors? Very little if you think about it. Apart from their brands. Think of a brand as a person. When you meet that person for the first time, you judge them by how they speak, their behavior, what they believe or the principles they stand for and what they look like. Their tone of voice – how they speak. Their vision – what they believe. Their values – how they behave. And their identity – how they look – how they are dressed. Importantly too you will find out about their reputation – what do others say about this person? A brand is exactly the same. At its core, a brand will have a set of values; it may be trustworthy or honest or perhaps risk-takers or an innovator. 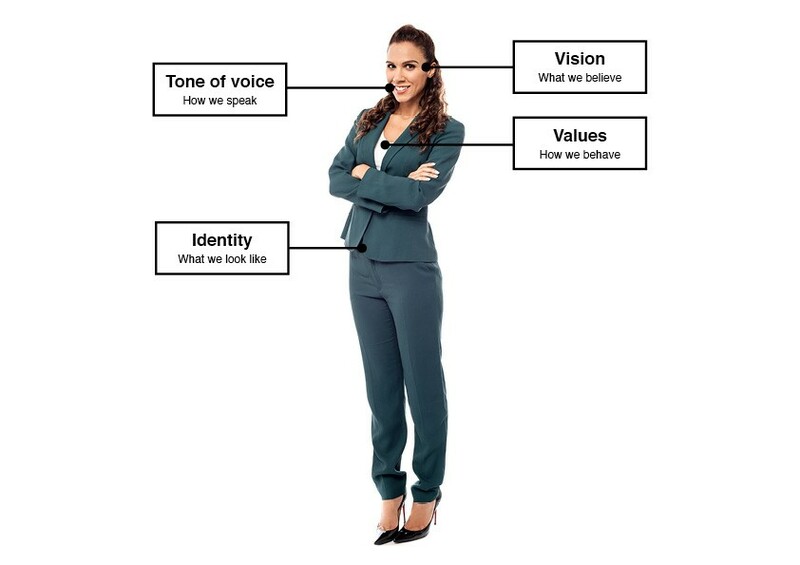 It will have a tone of voice – formal or informal, authoritative or friendly for instance. 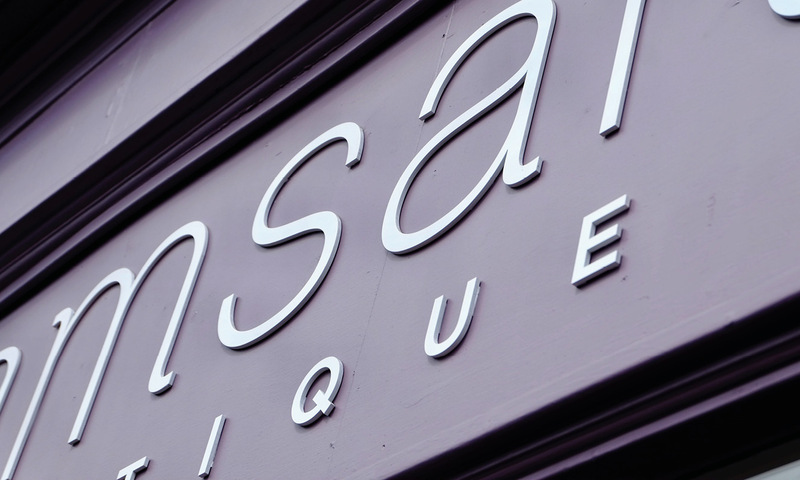 A vision – a belief in what the brand has set out to achieve. What is its purpose? And its identity – the way it looks –its branding: the logo, colours, typeface and style of imagery. And a brand’s reputation – what people are saying about it – is vital. Think about how we judge Volkswagen, Facebook, Google when we hear that they may have broken our trust. Let’s call it the ‘gin and tonic’ effect. I don’t answer “it was fine. The plane didn’t break down and we didn’t crash – we landed on time”. We expect all this at the very least! So, it’s the little, ‘added value’ extra elements that get remembered and talked about. 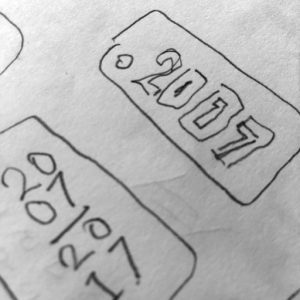 It’s these little things that will differentiate your brand from your competitors’. 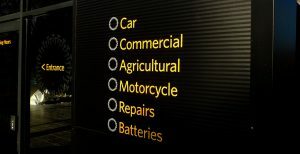 The values airlines stand by, such as reliability, safety, efficiency are all very important, but these are rational values. A brand should consider emotional values too to help it differentiate itself. 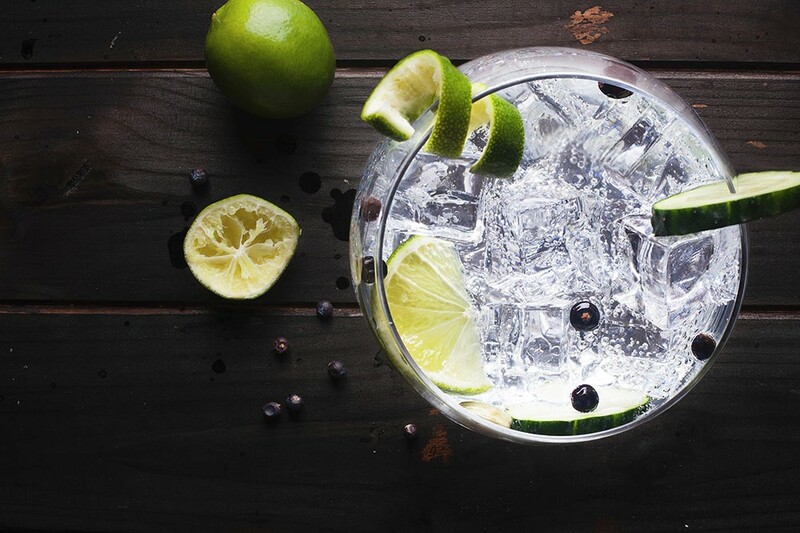 What is your brand’s Gin and Tonic? Here are 5 steps to work through that will help you to find your difference. 1. Make time to sit down with your directors and re-visit your company’s brand values or define them if they don’t exist. 2. 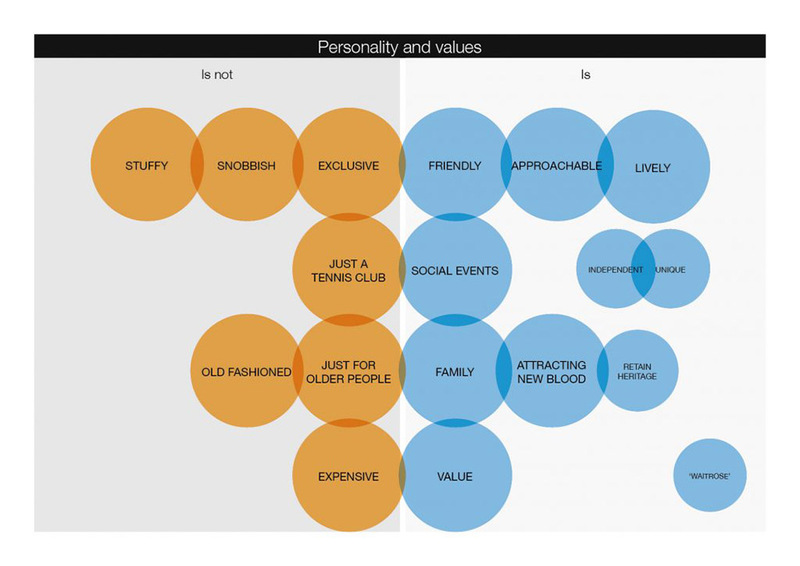 Aim for no more than five or six values to describe your brand’s personality. What you believe in and stand for. 3. Be honest – don’t pretend the brand is ‘passionate’ if it’s not. 4. Think about your brand’s vision. What is its purpose? 5. Now define your point of difference. If you have a truly unique proposition, like you produce anti-cholesterol bacon butties for instance, then you are pretty much home and dry. But if your products or services are similar to your competitors’, you’ll need to dig deep and find a difference. Remember, it may well be an emotional, rather than rational, point of difference – like the Gin and Tonic. 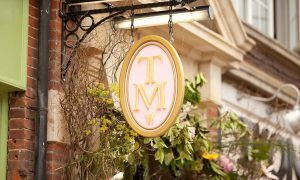 Creating a strong brand or not can be the difference between a business thriving or disappearing. So, in that context why wouldn’t you take time to go through the five steps above? Consistency of brand engenders trust. Trust is needed to move a prospect to become a customer. Customers understand and remember your brand and what it stands for. When the time is right for them to buy, you are the company of choice. 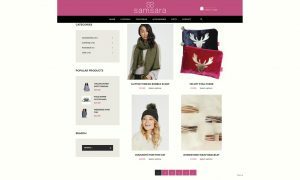 Customers become engaged and loyal. Their lifetime value to your business increases. They recommend you to others. A strong brand makes your company a great place to work, helping you to attract the best skilled employees. Defining your brands personality is not an easy task, especially when you are so close to your business. Consider getting help from a brand expert. This is exactly what I do. I act as a facilitator. I ask questions about what you offer your customers, what you do well, why you do what you do. I delve deeper to help you paint a picture of your brand. If you like the sound of this and feel an informal chat would help, give me, Nick Ovenden, a call on 07876 293885 or 01737 819687 or email me. 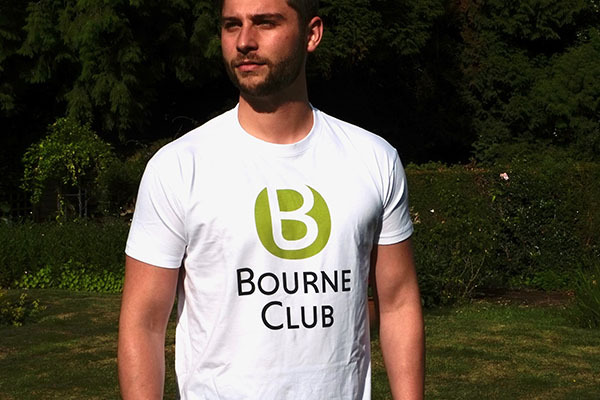 When Martin Browne became President of the Bourne Club in Farnham, Surrey, he was on a mission to increase the membership of the Club. To do this he knew they needed to reposition and rebrand the club to bring it up to date. 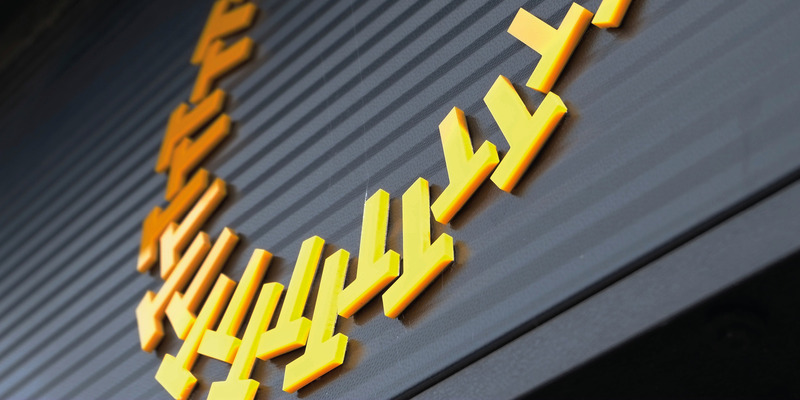 The brand’s image needed to change in order to appeal to a younger and wider audience. Martin assembled a committee of members to manage the rebrand work. I was invited to meet and guide them through the process. We started with an appraisal of the Club’s values and personality and went on to define exactly what the Club offers its members. 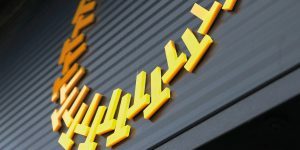 From this in-depth review, I was able to create a logo and branding style and implement the new branding across signage and other marketing materials. Together we took a long hard look at the current personality of the club and described the more positive qualities they wished to be associated with. This thinking was mapped out in a diagram which represents a ‘re-positioning’ of the brand from where they are today to where they wish to be tomorrow. When looking at the values and personality of any organisation, it can be useful to note the negative values i.e. those that you definitely don’t wish to be associated with as well as the positive traits. You can see how this was developed for the Bourne Club in the diagram below. With any brand, a verbal description of what the brand offers is crucial to its successful communication. 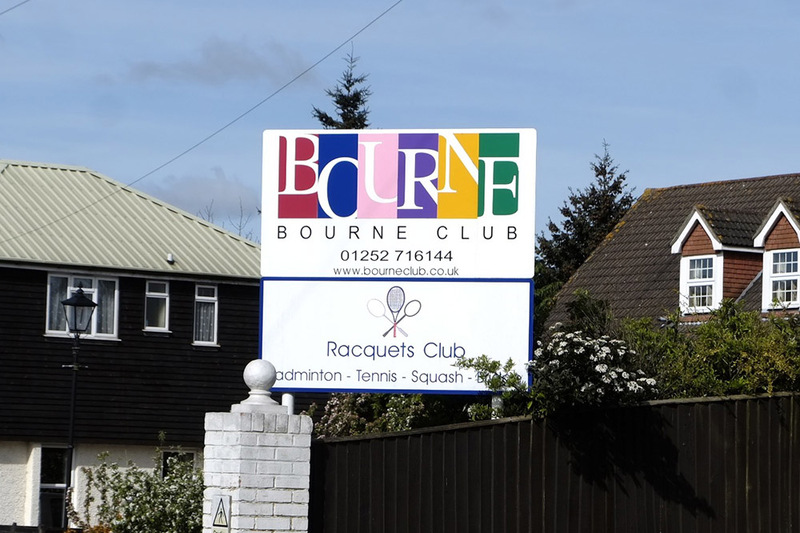 The Bourne Club is not just a tennis club. It has much to offer its members. However, passers-by could assume that it was just a badminton, tennis and squash club, which you can see in the original signboard below. The activities that members can enjoy are much more than merely racquet sports. The club has a gym. Members can drop in to relax in the lounge and enjoy a coffee and a chat. Bridge nights are very popular and there are regular social activities such as dances, comedy nights and gin tastings. 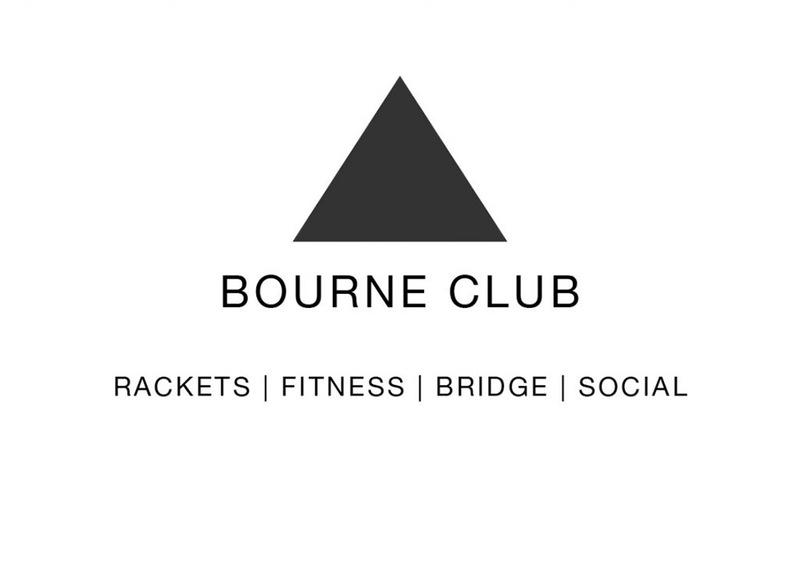 I recommended the strap line, ‘Rackets, Fitness, Bridge, Social’ which sums up concisely what the club offers today. 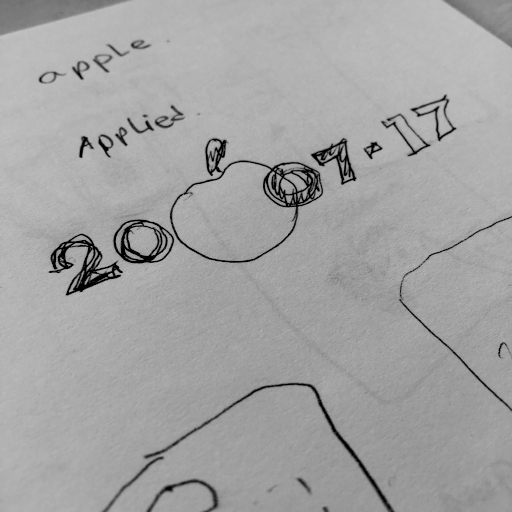 This was agreed upon before the logo design work started. However, to demonstrate how the strap line could be incorporated, I created a simple logo represented by a triangle with the words underneath. Adding these four words was a significant change to the club’s original profile and broadens the offer from ‘just a tennis club’. To appeal to a younger audience, a contemporary look and feel was necessary. The old multi-coloured logo is replaced with bold, legible lettering and vibrant green brand colour. The chosen logo acknowledges the origins as a tennis club, with a clever use of the letter B. While looking carefully at the curved line on a tennis ball, at a certain angle I saw the curve form a hint of the letter ‘B’. And that was the inspiration for the logo! After much refinement, experimentation, crafting and testing, the final developed logo was signed off by the committee and the Bourne Club now has a suite of logo versions; centred, horizontal and stacked, suitable for a wide variety of applications across digital, print and signage. 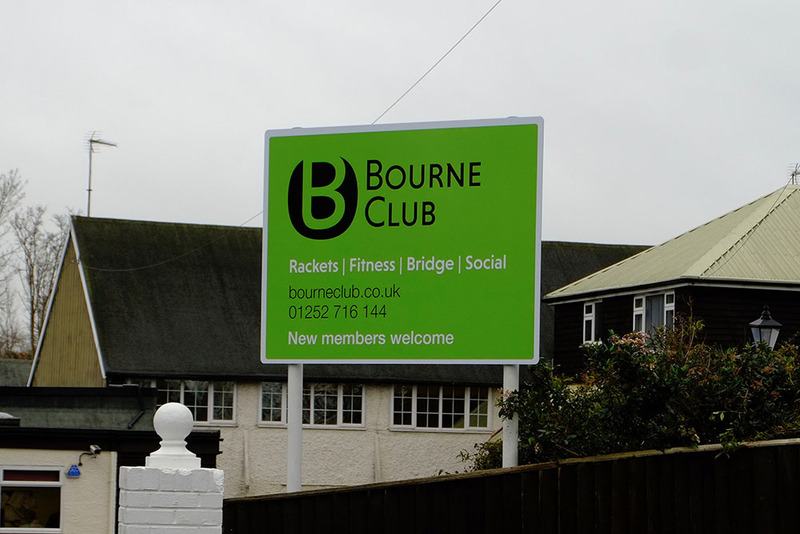 The Bourne Club is delighted with its new branding, which was launched in 2017 and continues to be implemented. If you feel your brand no longer reflects your business as it is today, maybe we should talk. Please do get in touch. You can call me on 07876 293885 or email me. The standout designs of last year. 2017 was a great year for me, one of my best in fact and I’d like to share some of the highlights with you. I had the pleasure of working with some forward thinking business owners. 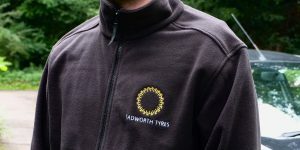 The result is they all now have strong branding to support their plans to grow their businesses over the coming year. Reason for review: Move to a larger business premises. 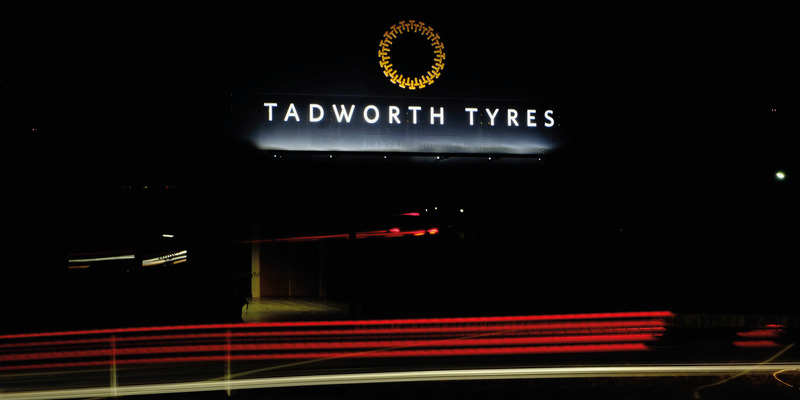 Solution: Creation of a new brand identity for Tadworth Tyres. 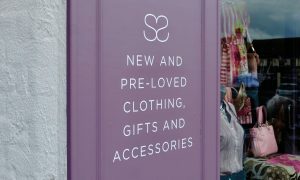 Brand implementation across exterior signage, clothing, stationery and marketing material. Reasons for review: Move to a larger retail premises and strategy to sell on-line. 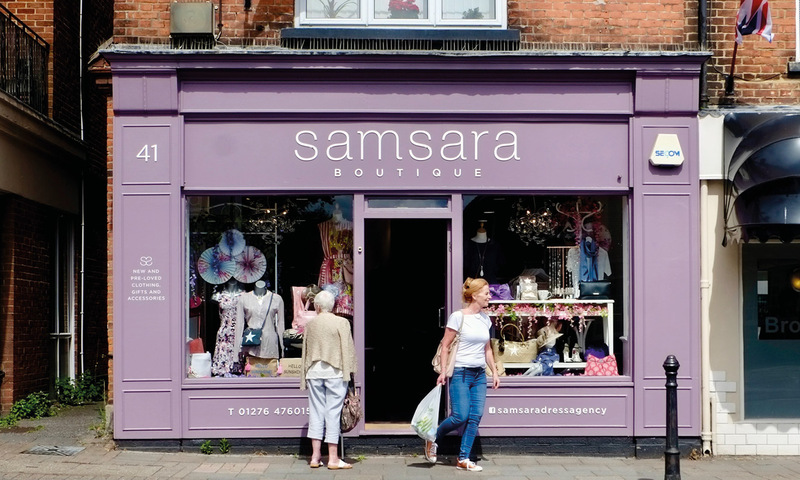 Solution: Develop the Samsara brand across shop exterior and signage design and create a new E-commerce website. 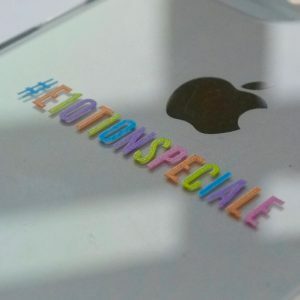 Find out more… The the story of how we generated ideas for the iPhone cases from the design brief through to production. Reasons for review: The shop is in a basement and not visible to passing trade. 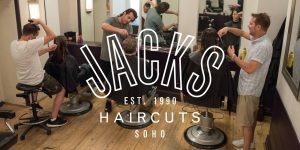 Solution: To create greater awareness of Jacks by using high quality photography from David Oliver and new heritage inspired branding. Reasons for review: The Club’s new president identified a problem with the old branding which was not appealing to new, younger members. Solution: To create a recognisable brand marque that identifies the club as being a friendly, dynamic, young, sports and social club. If this review of 2017 has prompted you to ask whether your brand reflects your business as you head for 2018, please give me a call on 07876 293885 or email me. I’d be glad to help you review your branding. I wish you a very happy New Year everyone and all the very best for 2018. The name– Tilly Mint, the colours – mint green and pink, and the store had to look at home in London, despite it’s location in Hampshire. Exterior signage was created using specially formed letters finished in gold leaf (no other finish has quite the same effect) and bespoke oval swinging sign. 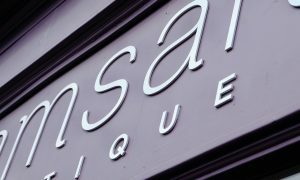 The brand design was implemented across everything from wrapping paper and carrier bags to price tickets and business cards. 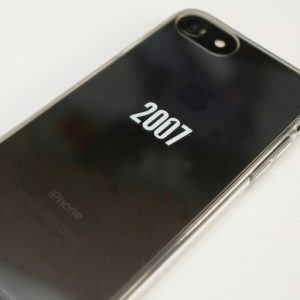 The tenth anniversary of the iPhone presented an opportunity that my client Qdos, couldn’t ignore. Qdos creates smartphone accessories andhas an exciting range of cases, many of which I’ve had the pleasure of designing over the years. 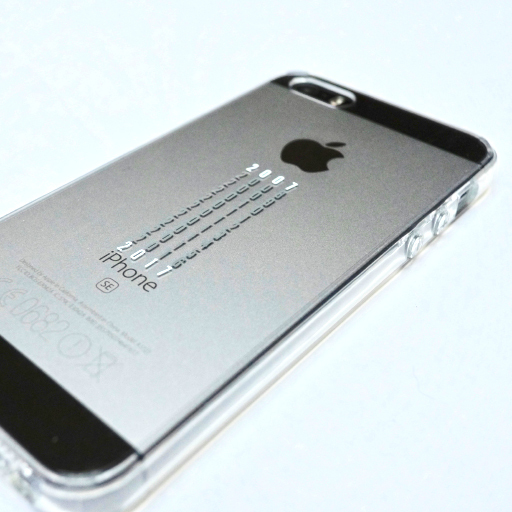 Qdos wanted a range of designs that would celebrate the iPhone’s birthday. 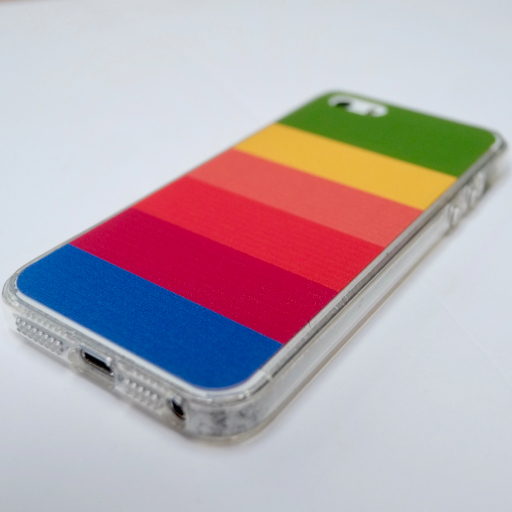 The brief for the design for the new iPhone cases was that they must be clever, smart and aspirational. 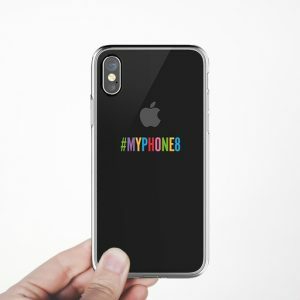 The idea was that the proud owner of the new 8 and X would want to ‘dress’ their new phone with a special 10th anniversary cover. The Qdos team and I brainstormed some themes – Vintage, Evolution, Birthday and others and I returned to my studio to start work. I covered as much ground as I could over the following week, taking inspiration from my all time design heroes Alan Fletcher and Milton Glaser. 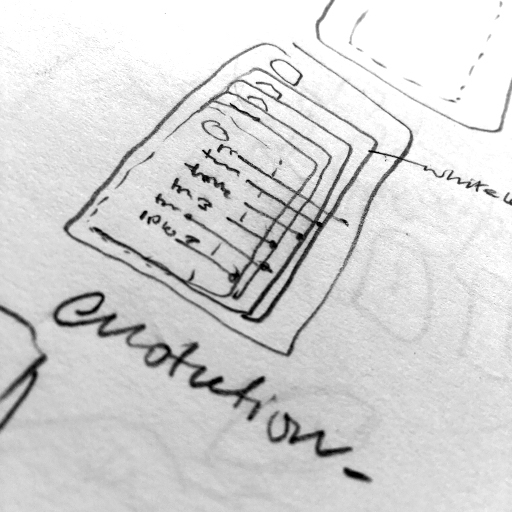 Of course, during the fist presentation, a lot of the early designs went straight into the trash bin. But that’s not a problem; it’s the ideas we reject that make the rest the best! Development of the shortlisted designs followed, chipping away and refining all the way to the production of final artwork. And then the waiting. 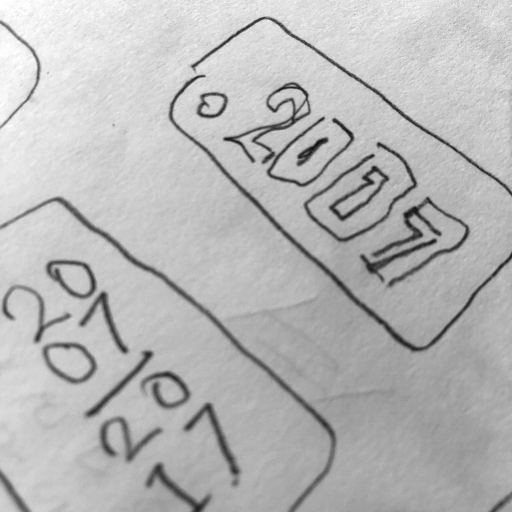 For the factories in China to turn these ideas – ideas that start out as a scribble on a layout pad often at 10.45pm – into reality. 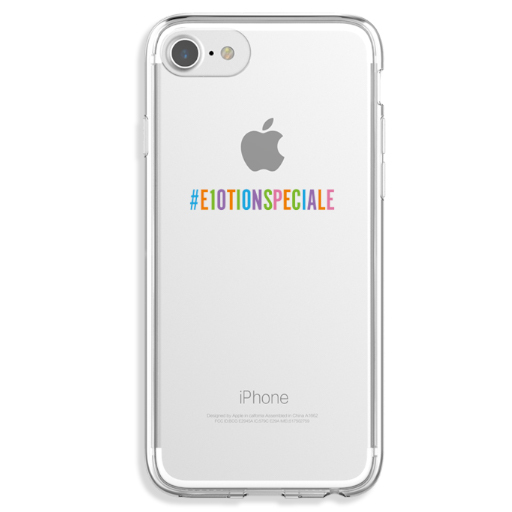 It’s quite a thrill to see these beautifully produced, tactile, little iPhone 7,8 and X cases, especially when customers get to purchase them! Perhaps you have one? 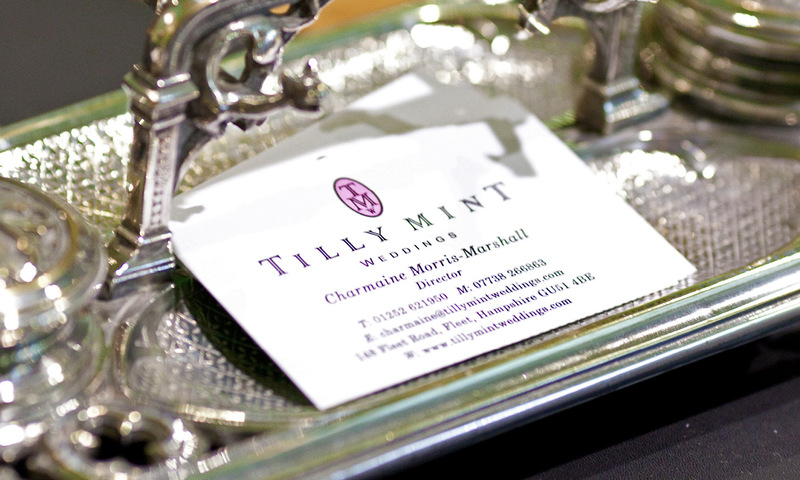 I’m proud of all the work I create for my clients, whether its a humble business card or a fully blown Brand Identity. A good example of ‘engaging design, crafted with pride’. My good friend and collaborator, David Oliver, who is a brilliant photographer by the way, asked me to help with a small job. He wanted to help his friend Jack, who has cut David’s hair for that past twenty years. Jack’s salon is in a basement in Soho’s Old Compton Street, with no ‘shopfront’ as such. 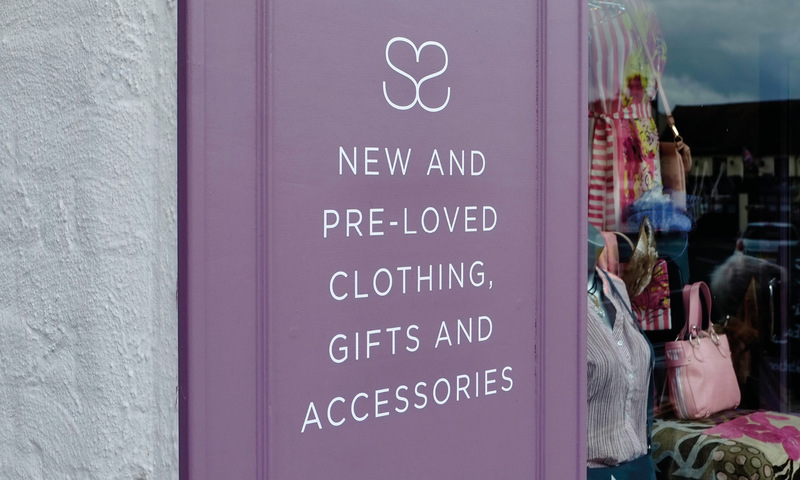 Many potential customers walk past as they cannot see into the premises. 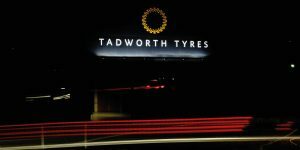 So David took some great shots of Jack and his team in action and planned to display them outside the entrance, on an A-frame sign so customers could see what was on offer. 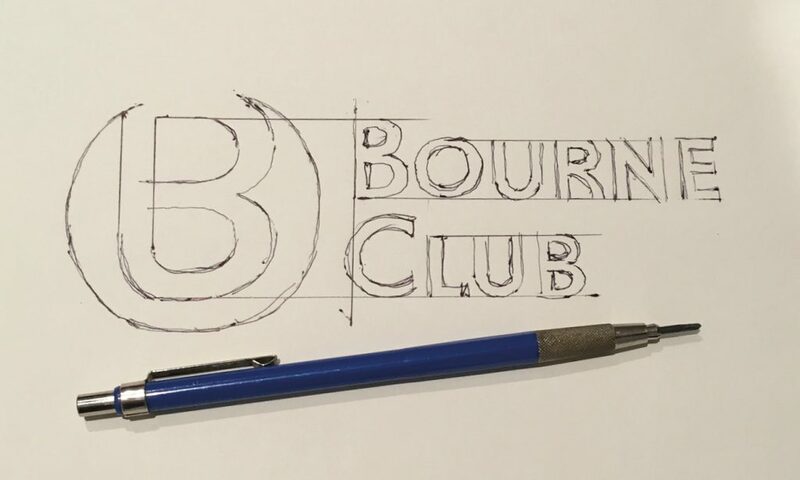 So I proposed a couple of logo designs, incorporating the established date and location: Old Compton Street, to communicate that this is an established, quality, Soho based business. Although the original brief was for a simple sign, Jack now has branding which he is proud of and is even considering branded merchandise. By the way, if anyone thinks the lack of apostrophe is a mistake it’s not. This is a logo, not a grammatical piece of text. Look at Harrods and Selfrdges for examples. Imagine you are at a party and you come across two guests you’ve never seen before. Before you speak to them, you judge them by taking in their appearances – it’s human nature to do so. One is well dressed and presentable and the other scruffy and dishevelled. So, who do you go and talk to – Mr Smart or Mr Scruffy? It’s highly likely to be Mr Smart. Now, imagine this in the context of someone seeing your company for the first time. This is why your appearance – your branding, really matters. Likewise, your brand (your reputation) is equally important. If you do not send out the right visual and verbal messages about who you are, then you might end up attracting the wrong type of people to your business. Is your company Smart Co or Scruffy Co? Carry out a quick check to find out how your organisation appears to its audience. Are you proud of the way your company is presenting itself to the outside world? Do you have a distinct image that you want others to see you as? 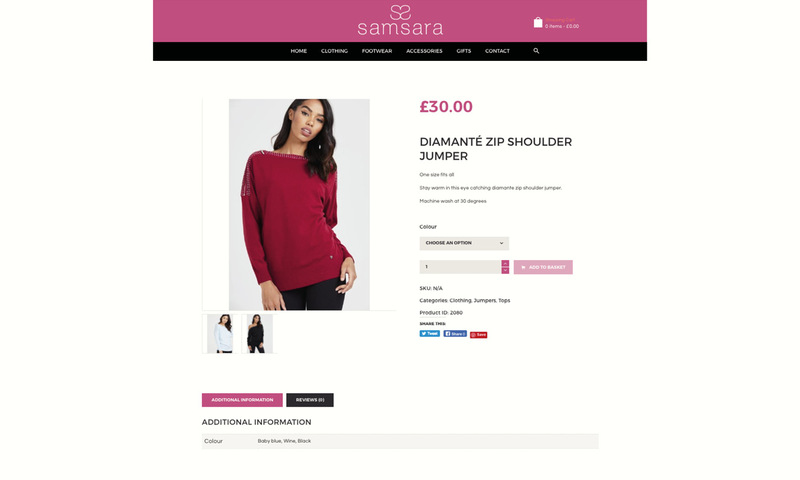 Are your existing customers happy to be associated with you, and are your potential customers’ first impressions of you positive? Does your branding engage with your customers? If all of your answers are yes, well done. You are managing your Brand Identity well. Do remember, though, that your marketplace is constantly changing – particularly with such rapid developments in technology and social media. However, if the answer is no, then you should review your branding. In which case we’d love to help. Give me a call on 07876 293885 for an informal chat or send and email to Nick.